Nazca Peru: Our 2019 detailed guide from how to get there, where to stay, how to book the Nazca Lines and much more! 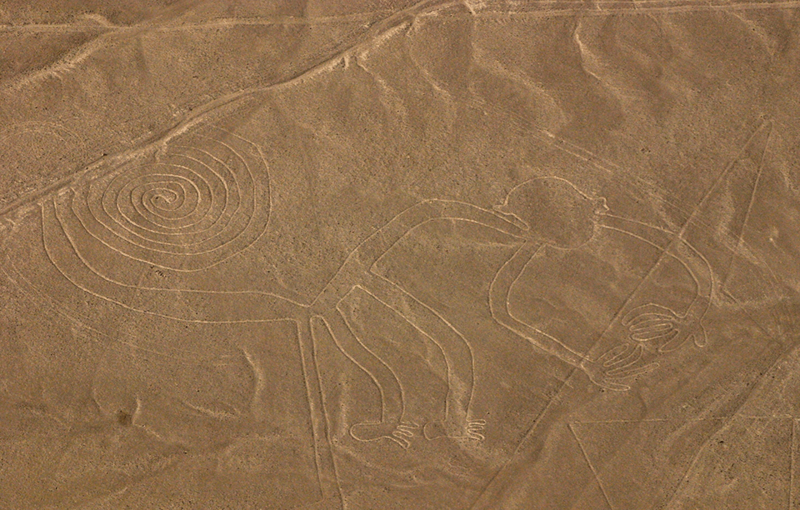 Home to the world famous Nazca Lines, huge geoglyphs etched in the Peruvian desert. The city’s name is derived from the Nazca culture that emerged in the area between 100 BC and 800 AD. How to get to Nazca – Compare transportation options. 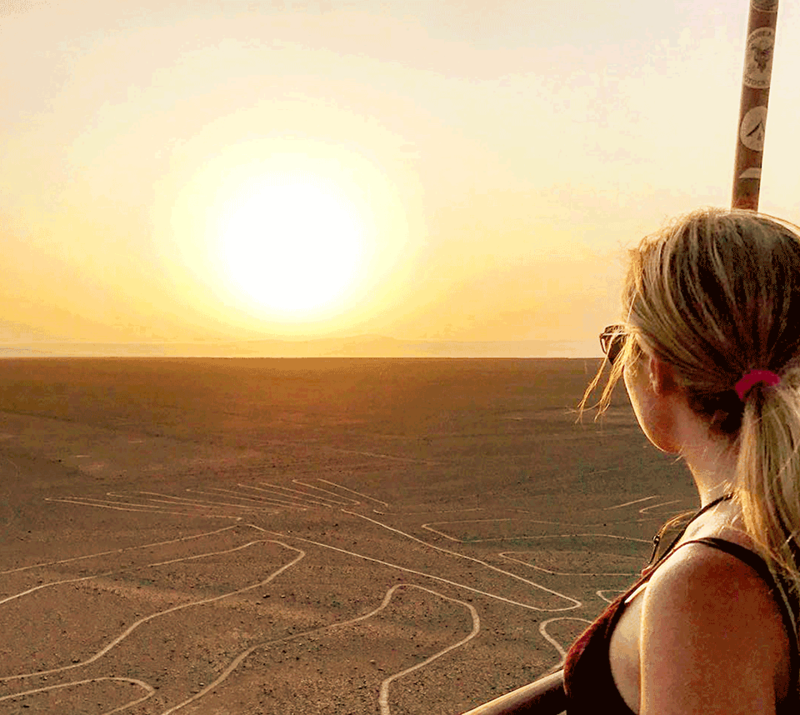 Must do in Nazca – A list of the most popular activities for travellers. Nazca safety tips – Safety issues to be aware of. Where to stay in Nazca – The best hotel/hostel options. 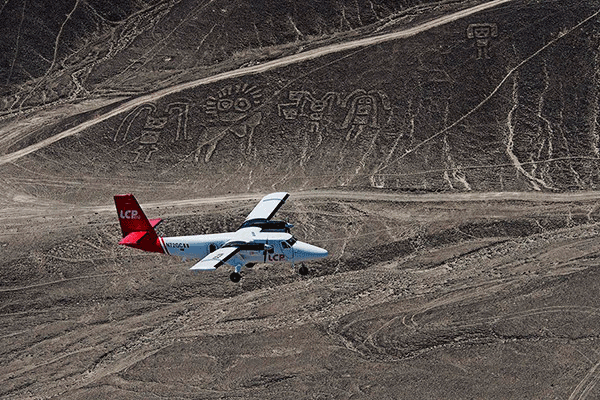 Photo Gallery – A few of the best photos of Nazca. Nazca is approximately a 6-hour drive away from Lima. There are many public bus companies operating the Lima to Nazca route. Once you compare prices and select the company you will use, you will have to find the company’s terminal and make your way there by taxi since there is no central bus terminal in Lima. Peru Hop busses offer comfortable and safe trips to Nazca, with free pickups and drop-offs. There are also free additional stops and tours on the way to Nazca which will make your trip much more worthwhile! 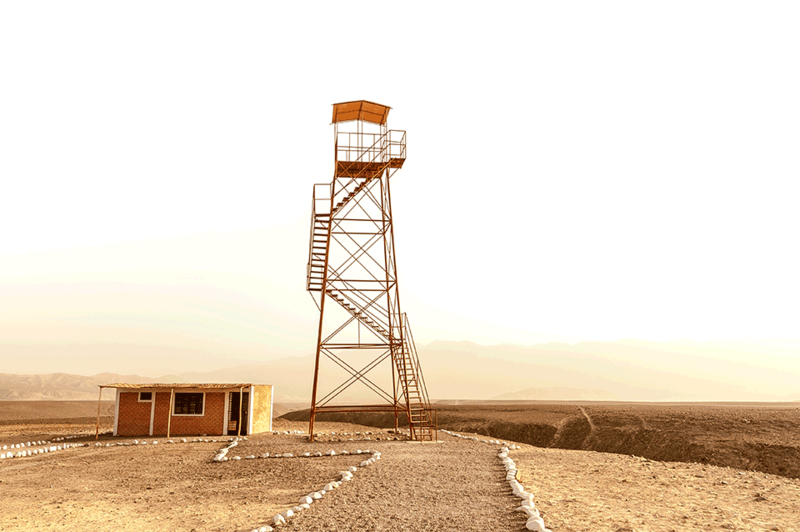 Climb up to the top of the Nazca Lines viewing tower to see 3 of the Nazca Line drawings (included in Peru Hop passes). It is believed that the Nazca Lines were some form of religious worship associated with the availability of water for crop growth (Nazca is one of the driest places in the world). Whatever their reason, these lines are as fascinating as they are mysterious to both historians and tourists and were officially made a UNESCO World Heritage site in 1994. The lines vary in size from 30 metres to 200 meters and often take on the form of animals such as monkeys, lizards and sharks among others. The lines are best viewed from above, and there are many tour companies offering flights over the lines (the lines stretch for about 80km). These tours last up to 30 minutes long and will cost approximately $110, but you will get some wonderful pictures and the best view of the lines possible. Alternatively, there is a viewing tower that helps you see up to 3 of the lines from an elevated point. This stop is included in Peru Hop passes and makes for a good photo op for those hopsters who decide not to book a flight. *If you’re taking Peru Hop and wish to include the flight tour in your schedule, they can assist you in reserving seats on a private shuttle service that departs Huacachina DAILY at 8:30am and can take you directly to Nazca for the flight tour at 11am. Beware of some unsafe tour companies, accidents have happened on some of these flights so please do your research. If staying overnight, discuss with your guide as to what hostels they recommend. How to Book: Email info@nazcatravelone.com and say you are a Peru Hop passenger. Conditions: Must book directly with the hostel and must show your Peru Hop wristband upon arrival. How to Book: Email reservas@hotelalegria.net and say you are a Peru Hop passenger.